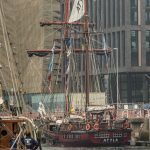 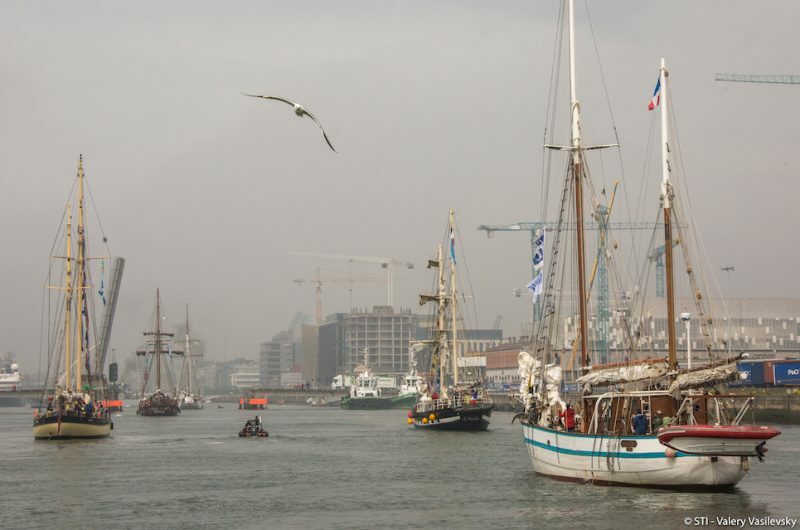 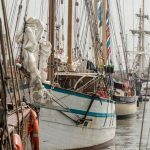 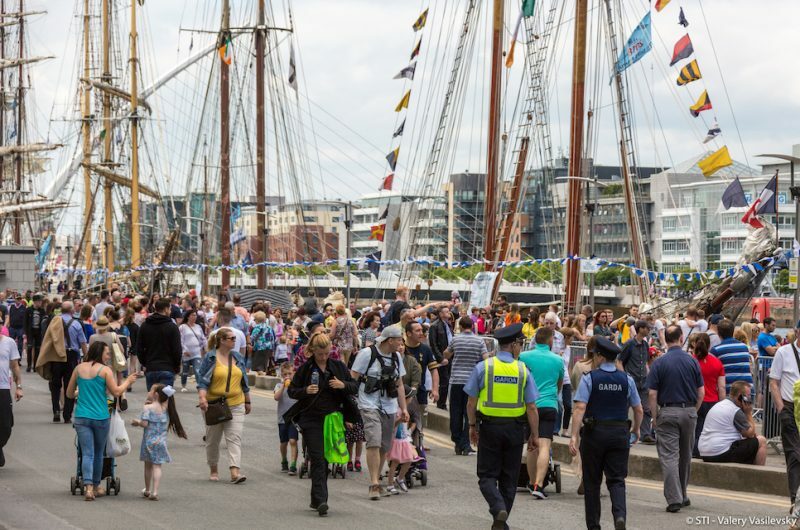 Thousands of visitors came to see the Tall Ships in Dublin. 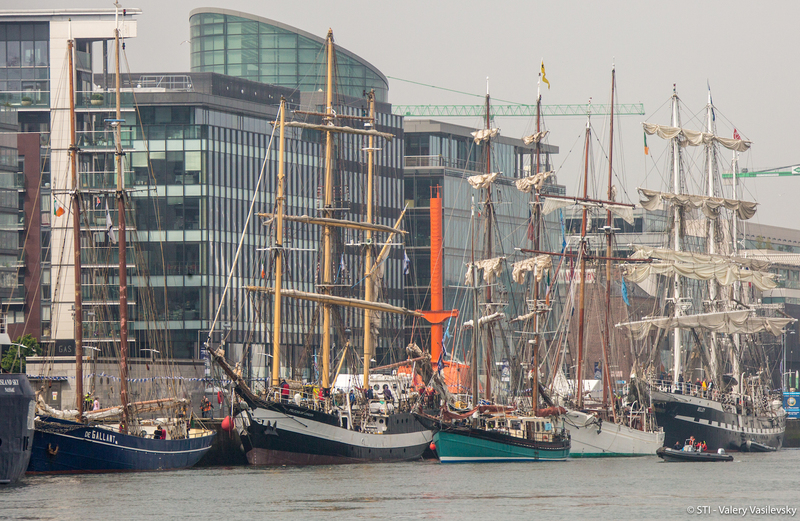 Dublin welcomes the Tall Ships. 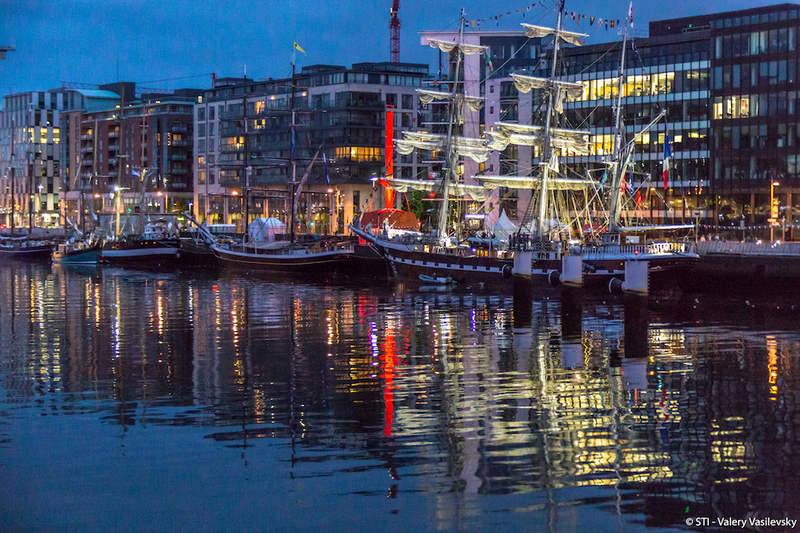 Dublin and the Tall Ships at night. 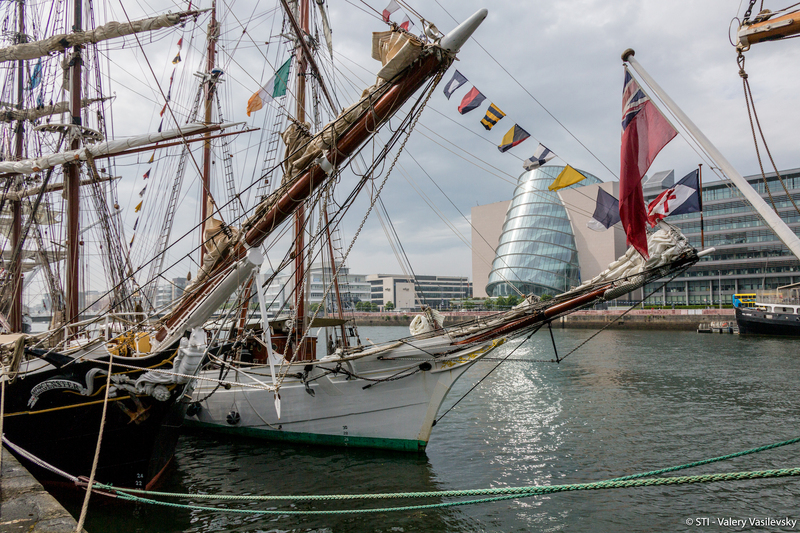 The Tall Ships moored on the River Liffey. 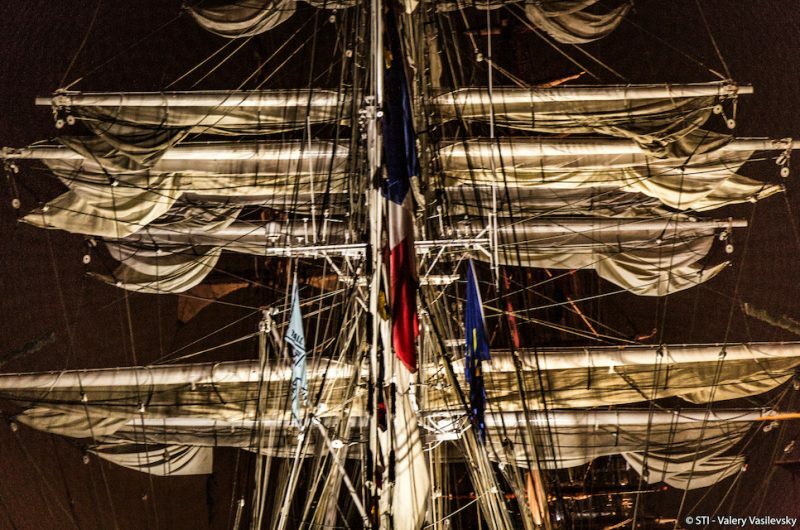 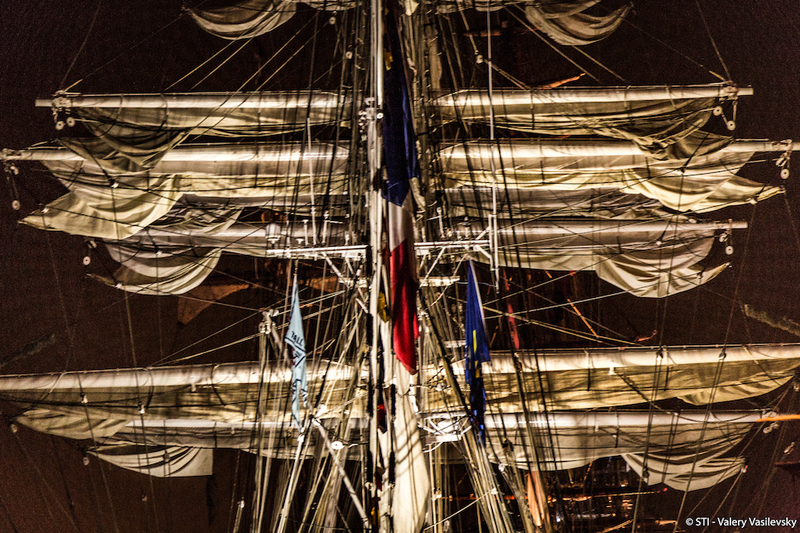 There's always something special about a Tall Ship at night. Adventure Wales (UK) in Dublin. 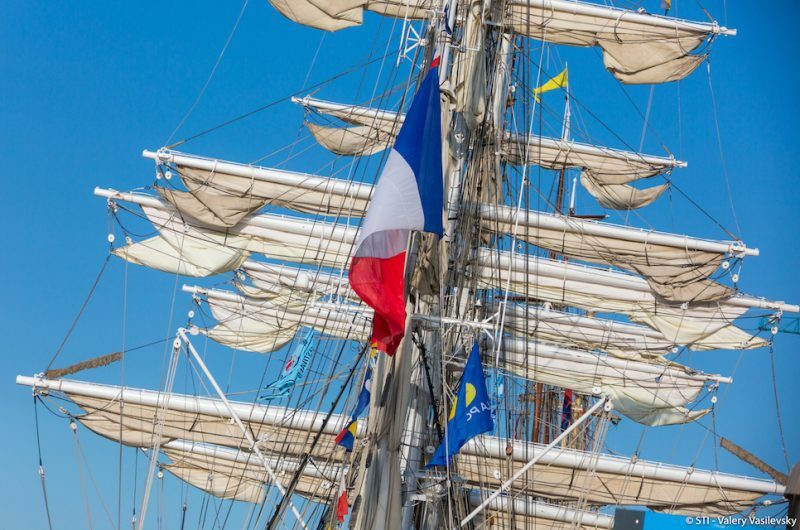 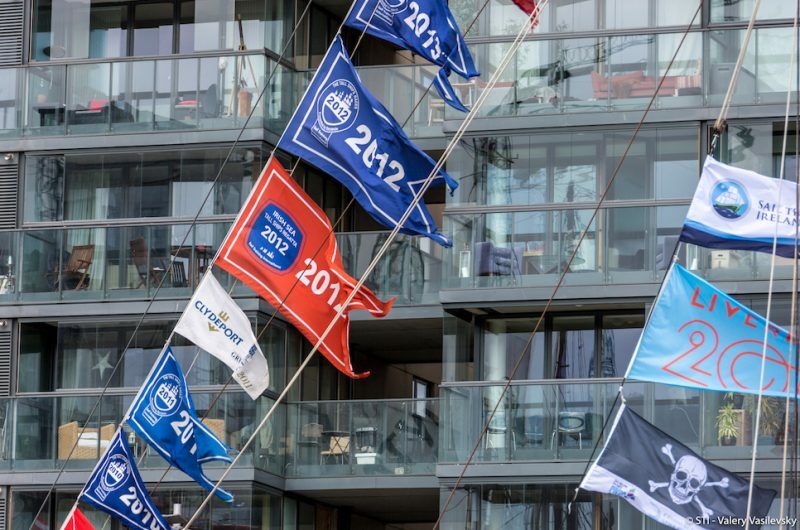 A Tall Ship receives a Race Pennant for every event they enter. 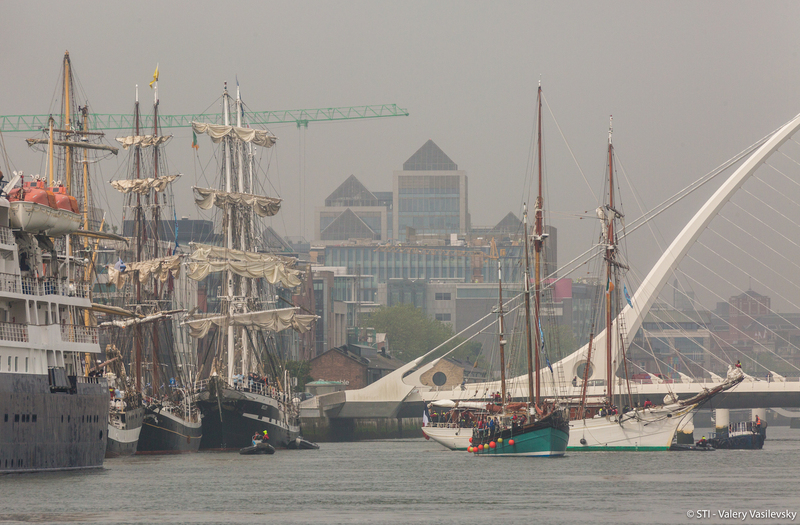 You can't be sad around the Tall Ships. 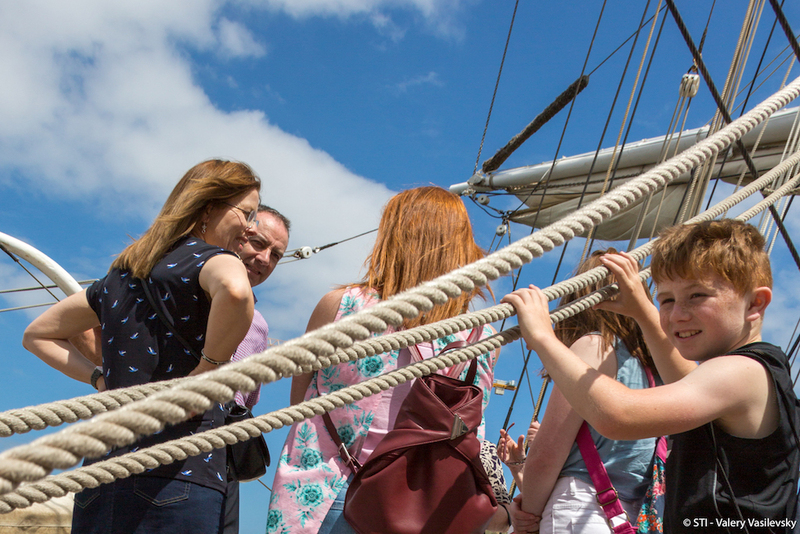 There's fun for all the family onboard the Tall Ships. 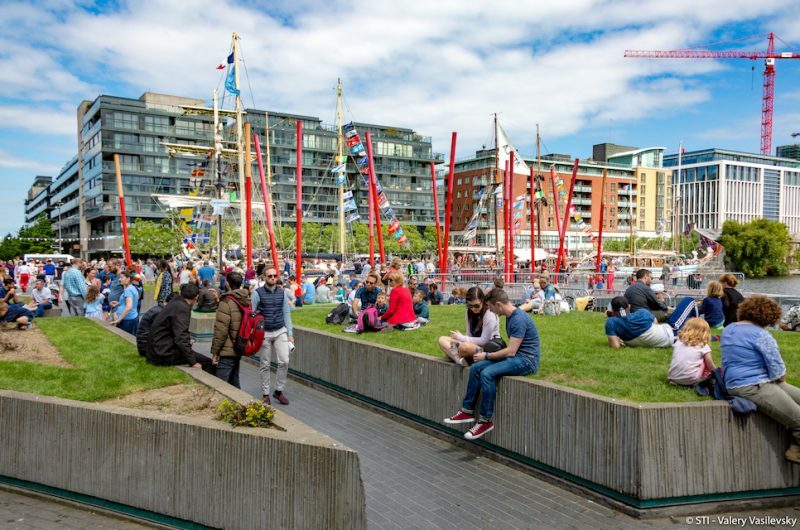 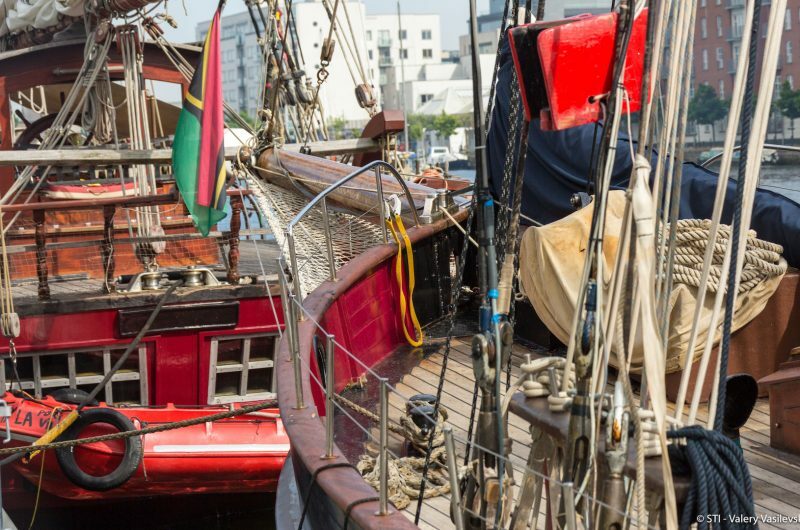 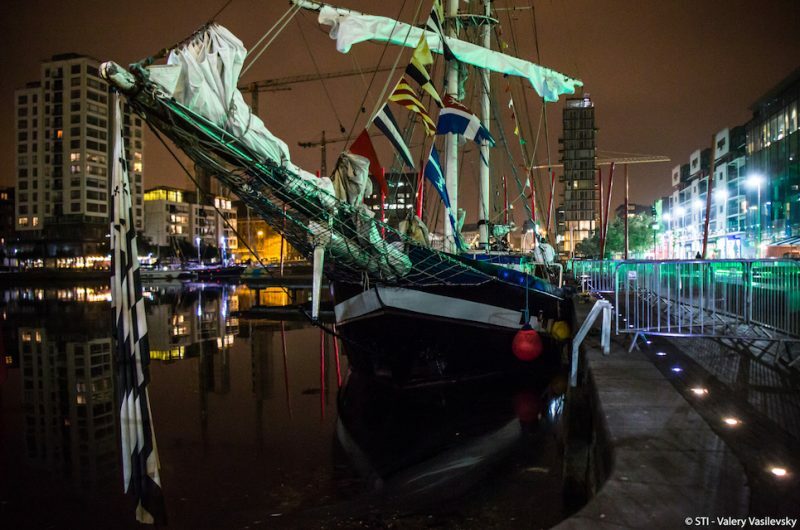 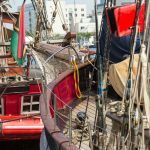 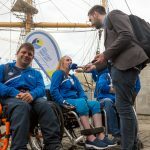 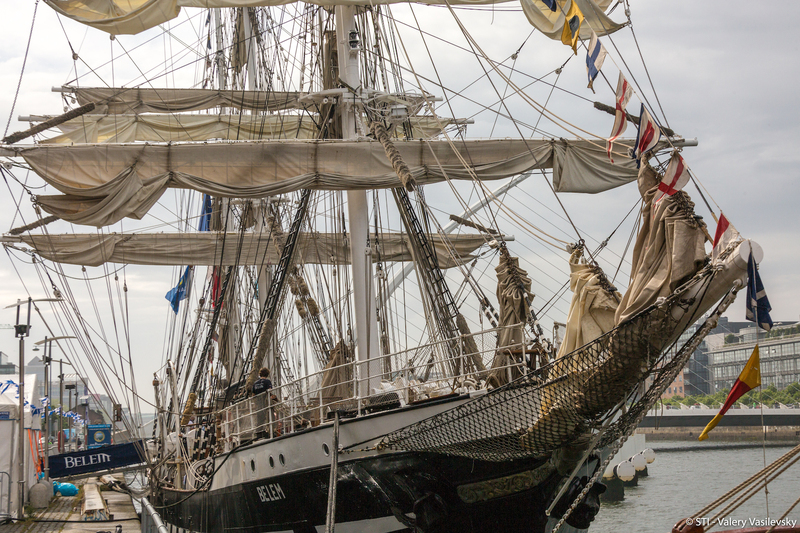 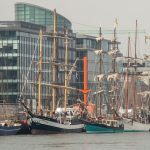 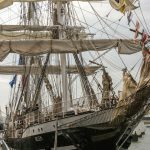 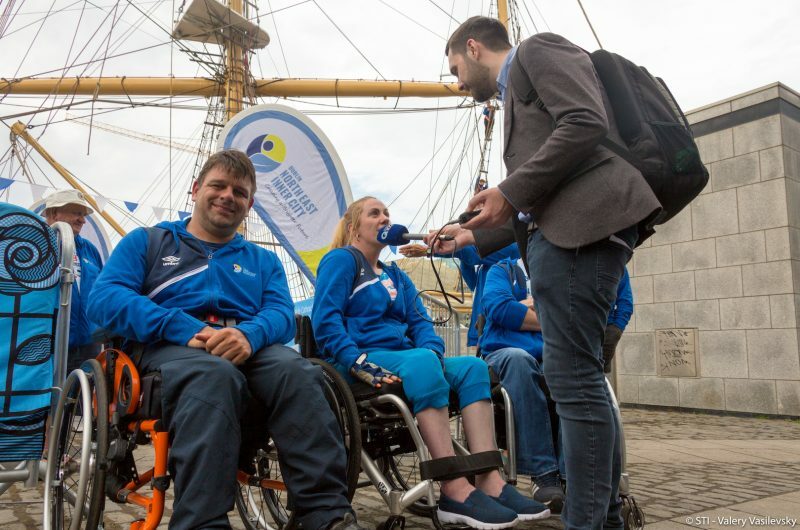 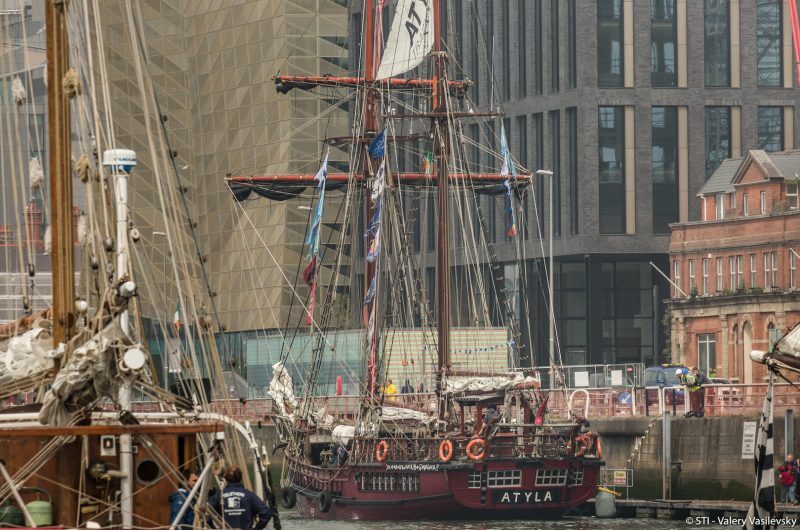 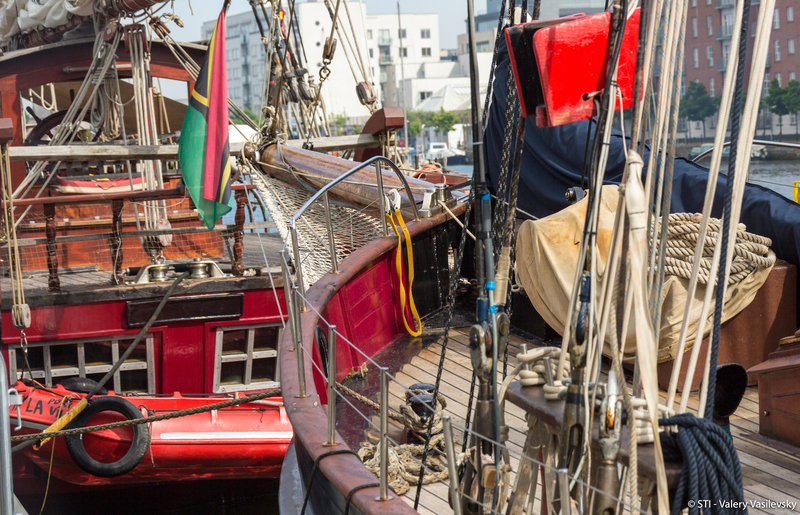 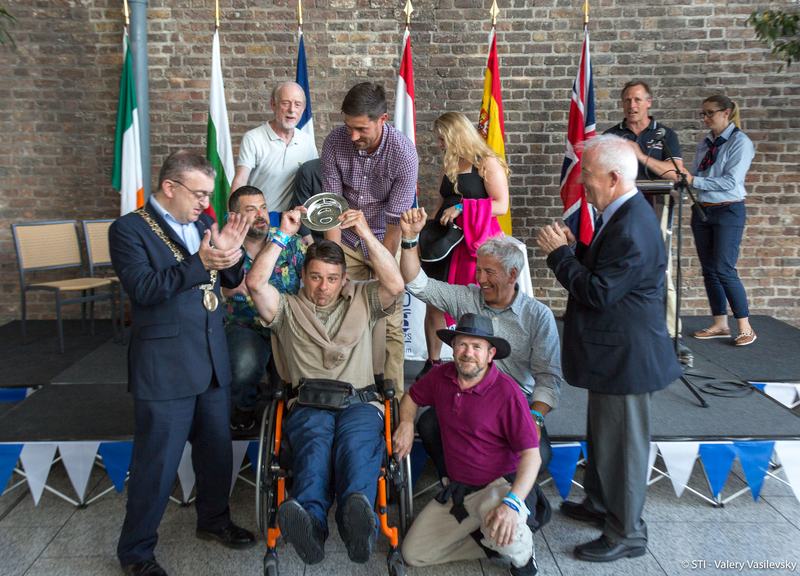 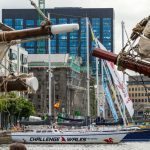 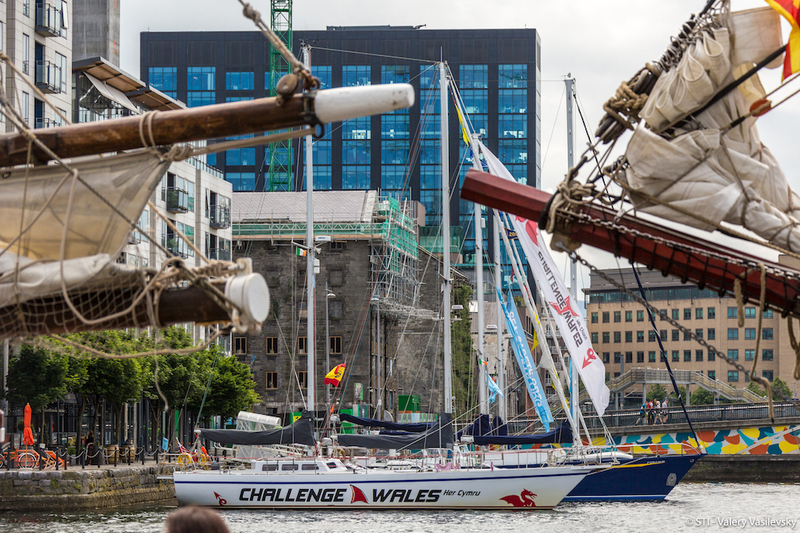 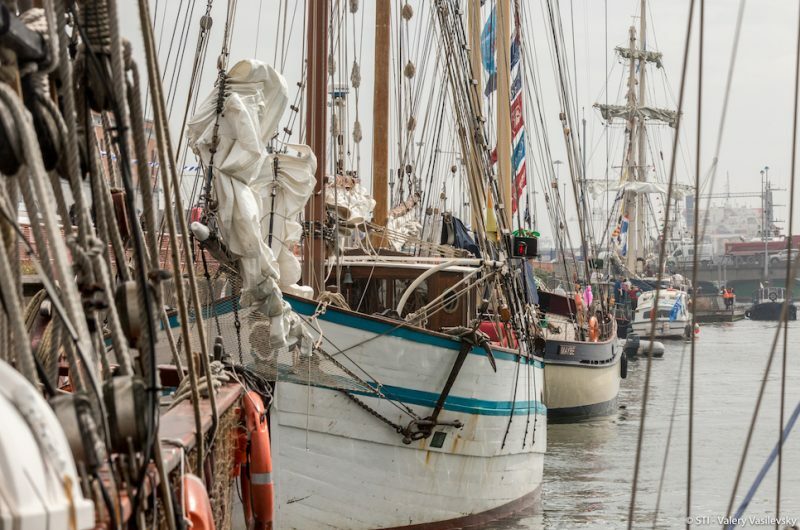 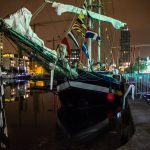 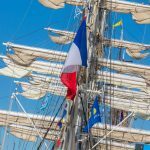 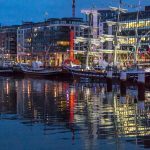 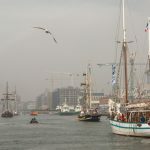 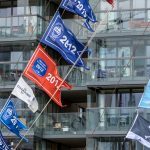 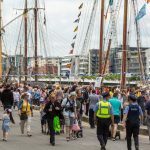 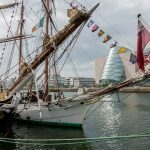 We couldn’t wait to return to the “Emerald Isle” for Dublin’s third Tall Ships event, to help promote its maritime activity, sail training opportunities and attractions and water based activities in the Dublin Docklands area. 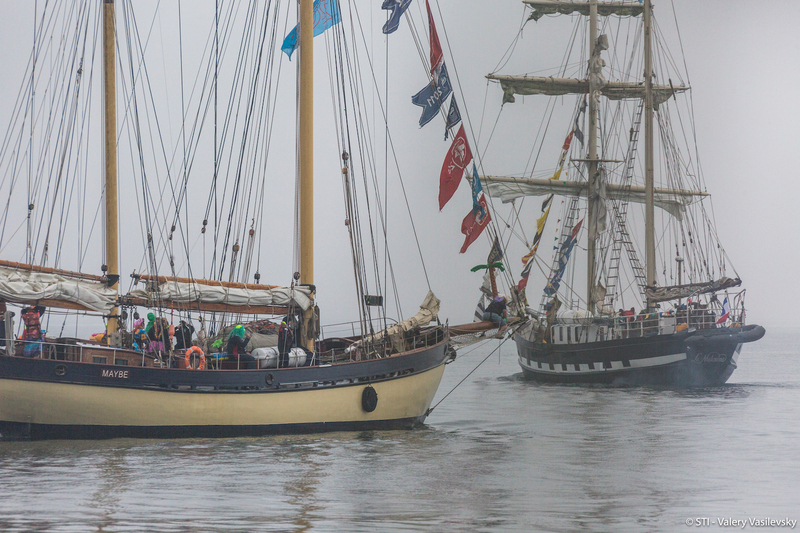 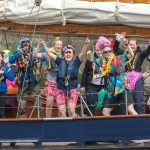 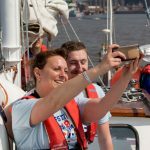 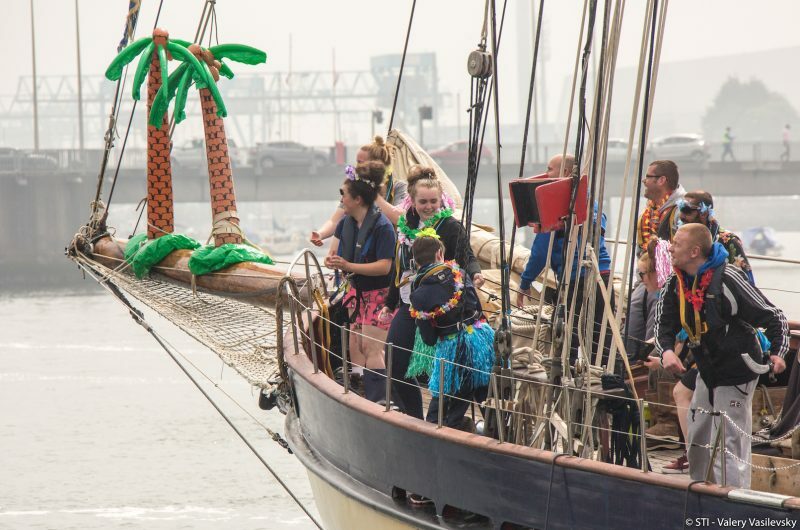 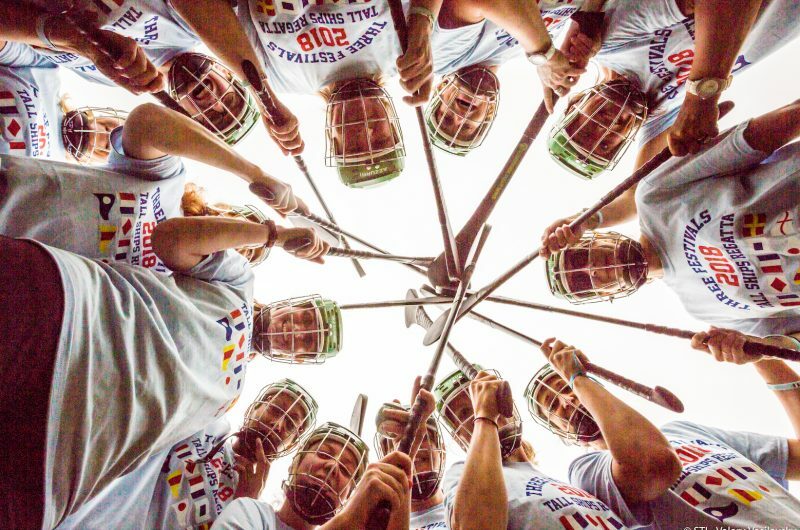 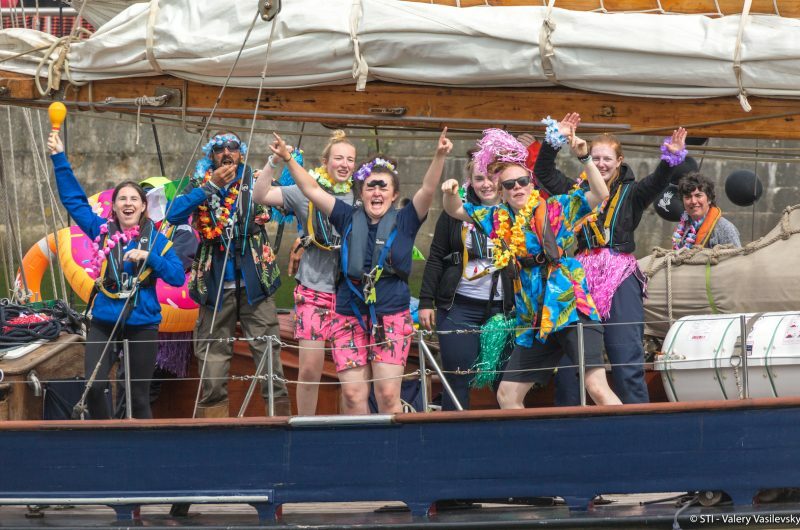 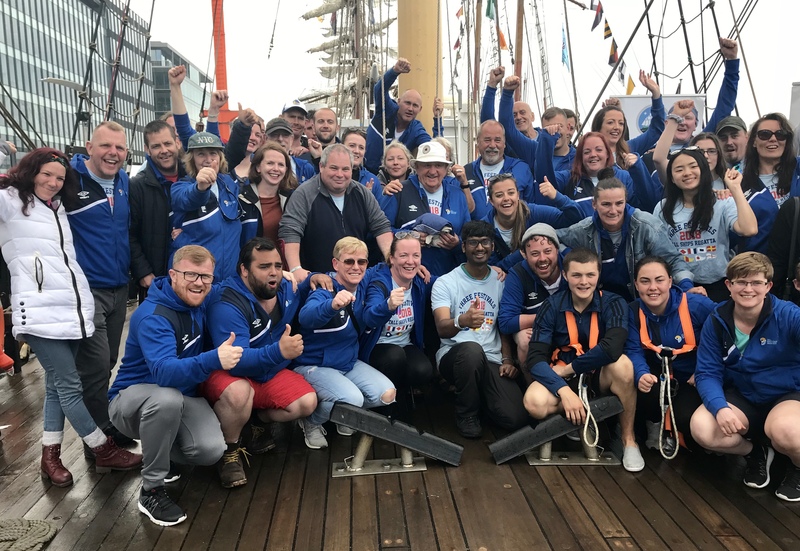 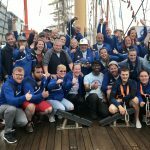 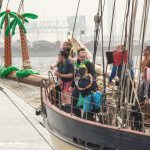 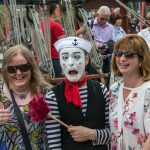 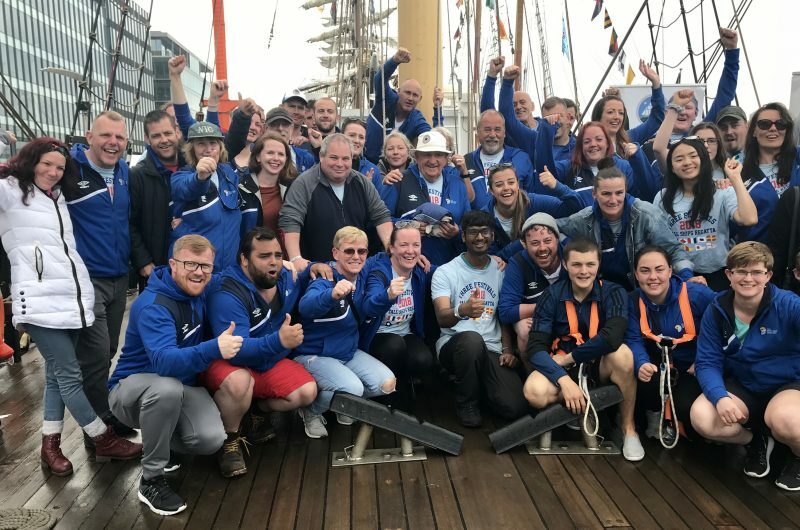 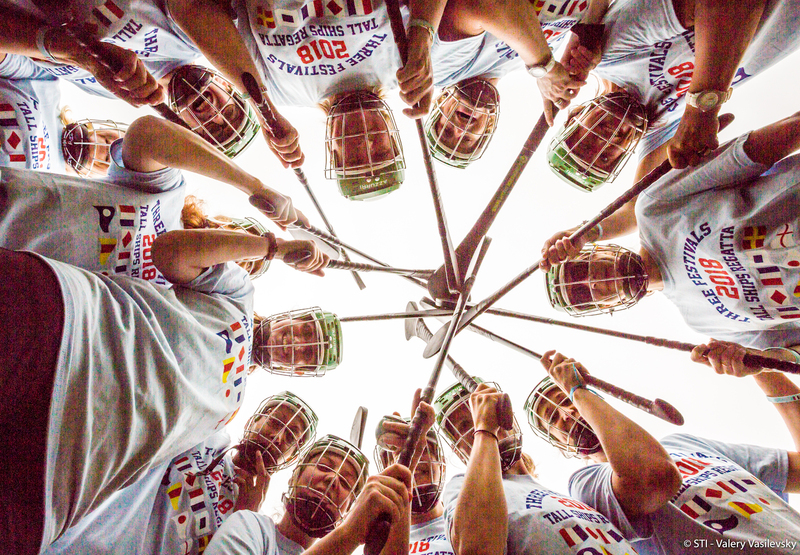 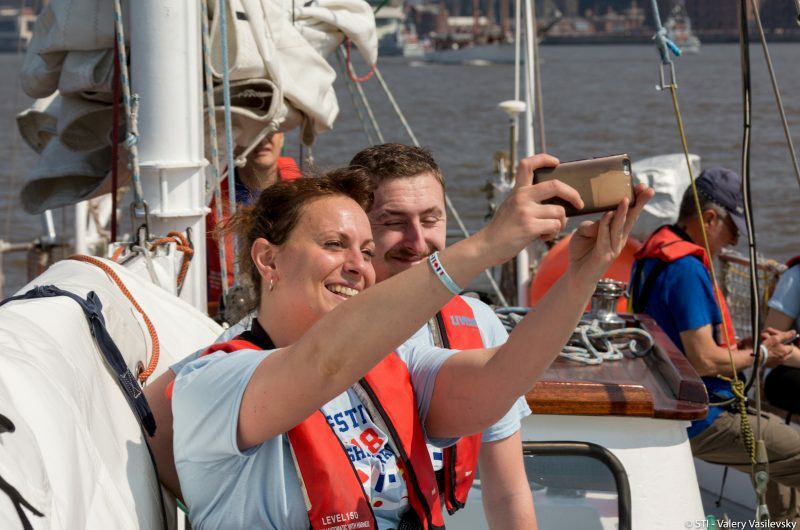 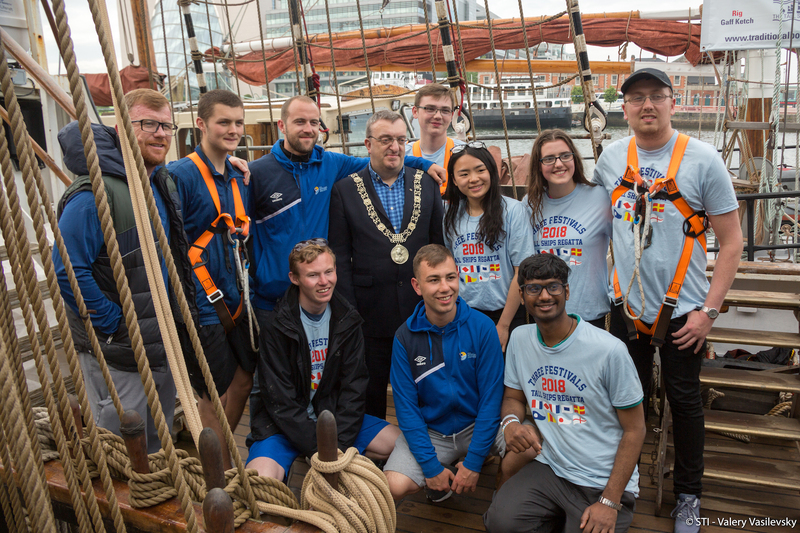 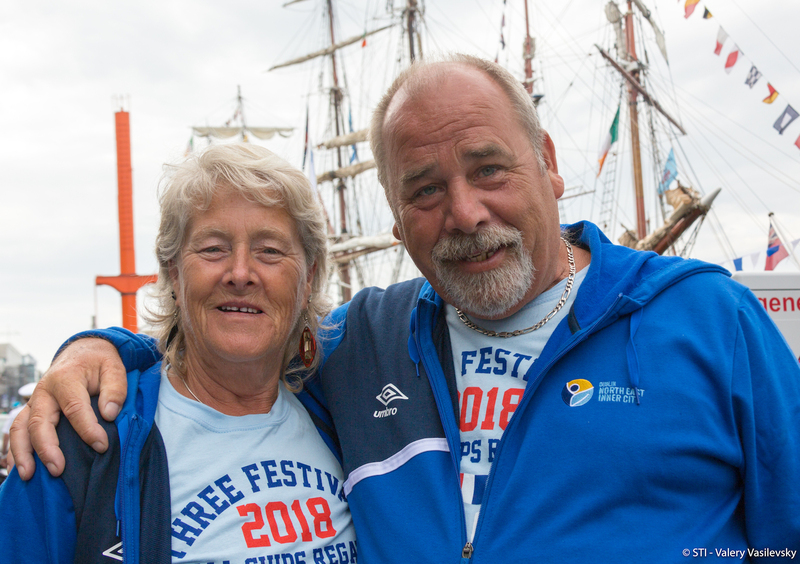 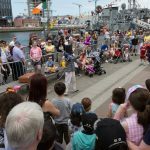 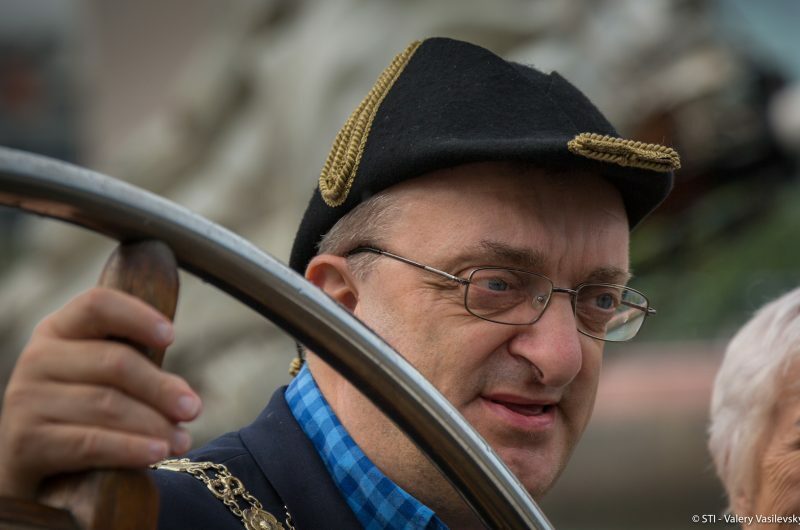 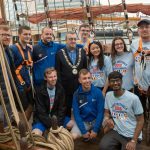 Dublin extended its customary friendly welcome to trainees, crew members and visitors alike, as the second port of Three Festivals Tall Ships Regatta 2018. We were looking forward to revisiting the River Liffey and the Docklands area, and bringing sail training opportunities to local young people. 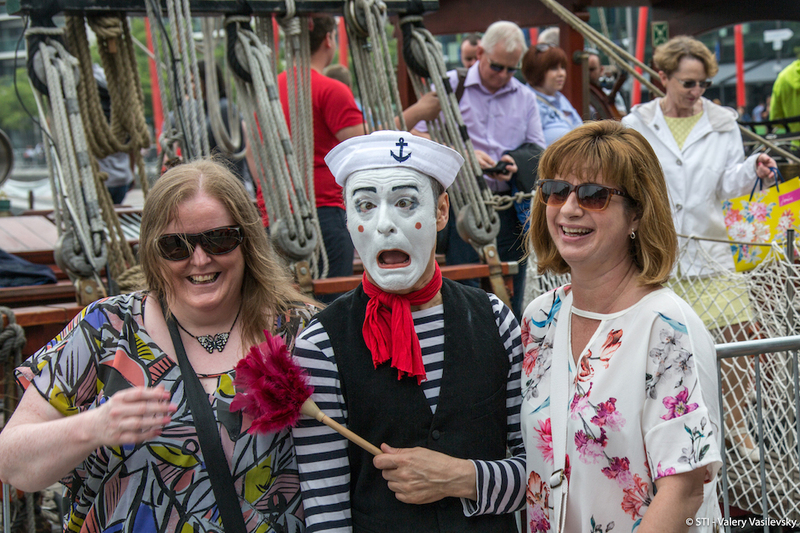 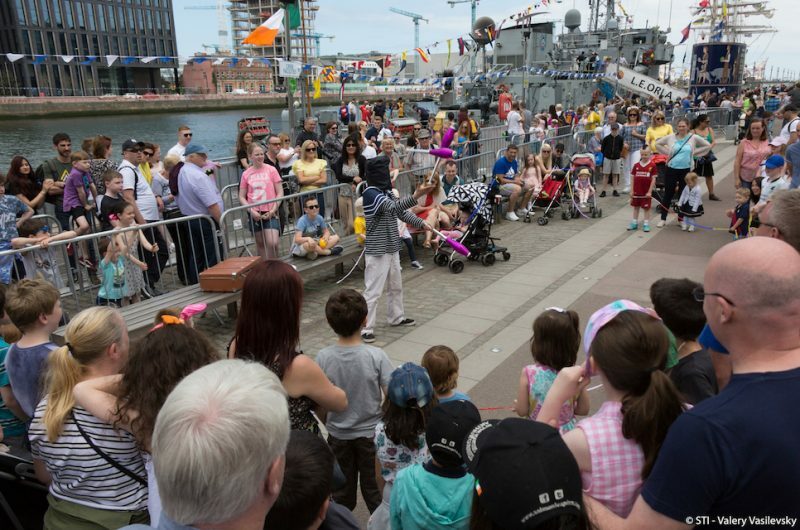 There was fantastic street entertainment alongside the ships and visitors were able to go on board the majestic vessels as well as enjoying water based activities and the other permanent attractions. Dublin is the Republic of Ireland’s capital, and it’s largest city. 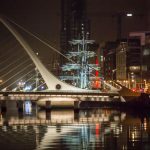 It’s located in the province of Leinster on the east coast, on the mouth of the River Liffey. 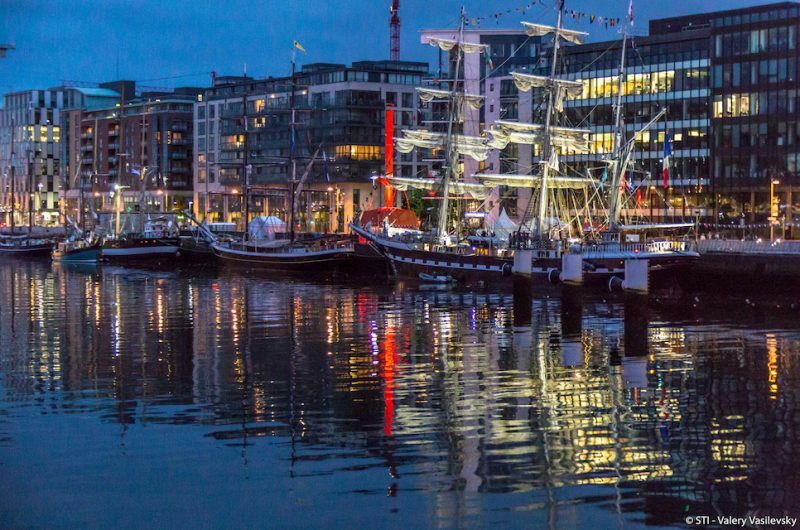 The city was founded as a Viking settlement, and today it boasts medieval castles, cathedrals, art, and architecture in abundance. Dublin has a huge personality that embraces diversity – it’s a melting pot of cultures and nationalities, which contribute to this cobbled city’s friendly feel. Paul Bishop, Race Director, Sail Training International. 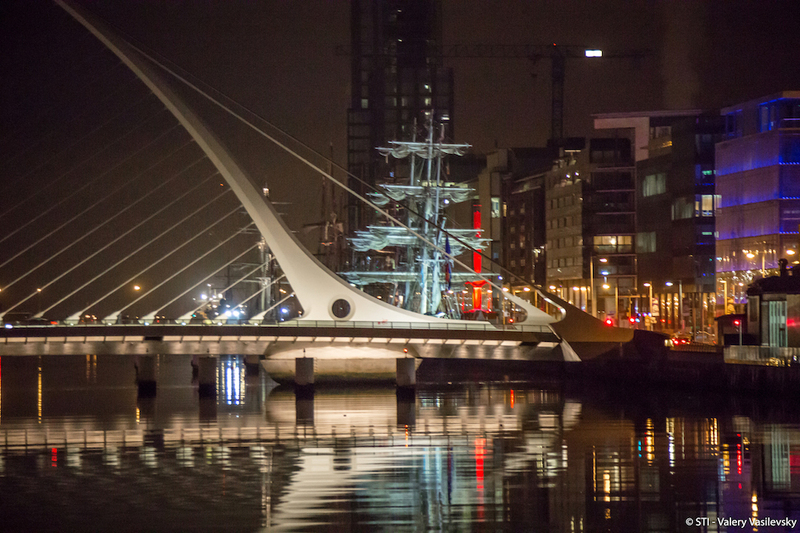 The word "Dublin" is derived from the Old Irish Gaelic for "Black Pool." 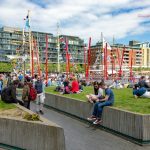 Famous Dubliners include George Bernard Shaw and James Joyce. 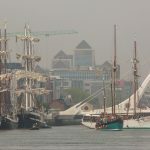 Trinity College boasts some well-known graduates: Oscar Wilde and Bram Stoker. 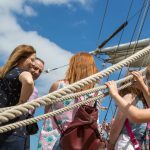 Approximately 50 percent of the population is less than 25 years old. Vessels will be moored on the south side of the River Liffey on St John Rogerson's Quay between the Samuel Beckett and East Link bridges and in the Grand Canal Dock. 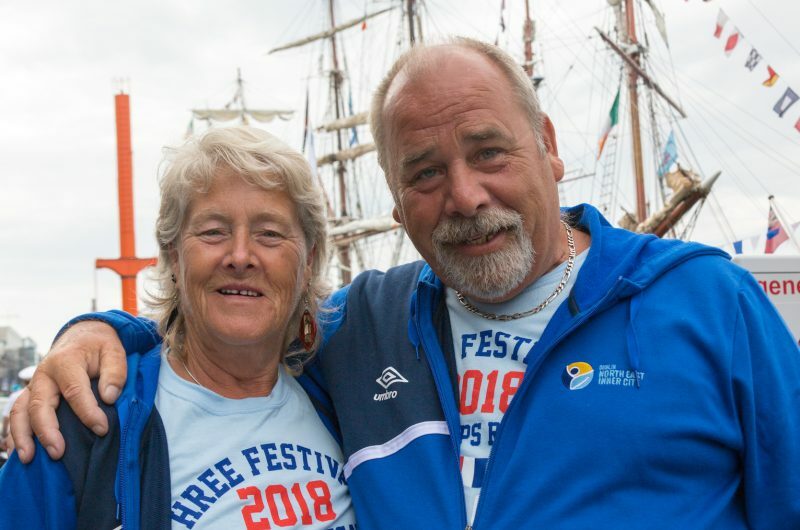 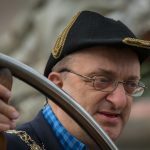 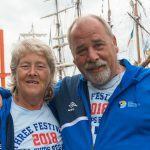 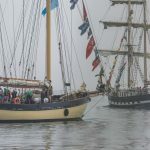 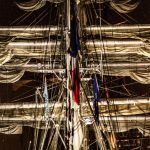 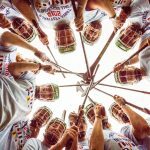 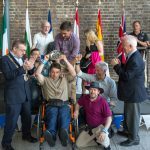 Dublin Tall Ships Regatta 2018 shared a post.